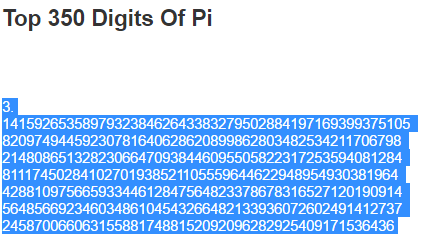 Listen to my sister Jayashree reciting 350 digits of Pi. Many know of Pi as 22/7 or as 3.14. March 14th (3.14) – Pi Day – is a special day for those fascinated by Pi. Most people cannot remember phone numbers of more than a handful of people. What is inspiring is that my sister is able to memorize and recite at blazing speed, 350 digits. Here is why Pi fascinates me so much. Everything around us-atoms to planets to stars -are circular or cyclical. Pi has to do with circles, and is that abstract constant with infinite digits so deeply and spiritually connected to our very existence. Even more special to us – today is her Birthday ! Happy Birthday dear sister !